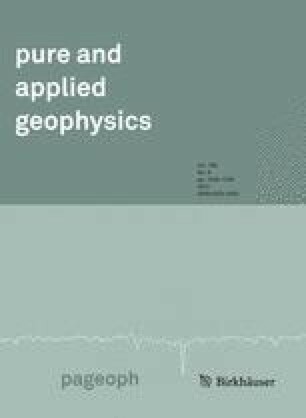 In the present study, a digital waveform dataset of 216 local earthquakes recorded by the Egyptian National Seismic Network (ENSN) was used to estimate the attenuation of seismic wave energy in the greater Cairo region. The quality factor and the frequency dependence for Coda waves and S-waves were estimated and clarified. The Coda waves (Q c) and S-waves (Q d) quality factor were estimated by applying the single scattering model and Coda Normalization method, respectively, to bandpass-filtered seismograms of frequency bands centering at 1.5, 3, 6, 12, 18 and 24 Hz. Lapse time dependence was also studied for the area, with the Coda waves analyzed through four lapse time windows (10, 20, 30 and 40 s). The average quality factor as function of frequency is found to be Q c = 35 ± 9f 0.9±0.02 and Q d = 10 ± 2f 0.9±0.02 for Coda and S-waves, respectively. This behavior is usually correlated with the degree of tectonic complexity and the presence of heterogeneities at several scales. The variation of Q c with frequency and lapse time shows that the lithosphere becomes more homogeneous with depth. In fact, by using the Coda Normalization method we obtained low Q d values as expected for a heterogeneous and active zone. The intrinsic quality factor (Q i −1 ) was separated from the scattering quality factor (Q s −1 ) by applying the Multiple Lapse Time Domain Window Analysis (MLTWA) method under the assumption of multiple isotropic scattering with uniform distribution of scatters. The obtained results suggest that the contribution of the intrinsic attenuation (Q i −1 ) prevails on the scattering attenuation (Q s −1 ) at frequencies higher than 3 Hz. The authors are grateful to the editor-in-Chief Prof. Brian Mitchell and the two anonymous reviewers for their critical reviews which have greatly helped to improve the paper. This work has been carried out at Earthquake Division of the National Research Institute of Astronomy and Geophysics (NRIAG), the authors are also grateful to the all staff members of the ENSN. Great thanks to Prof. D. Kossy at Imperial College, London, for reviewing the revised version of the manuscript.